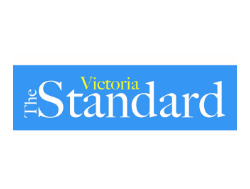 The Victoria Standard newspaper focuses on its prime mandate, the whole of Victoria County, but looks well beyond the County’s borders as well. Whether you’re reading our classic print edition, browsing our web version or swiping through our app, we give voice to those who make Victoria County the place that it is. A great number of people work hard to bring you each bi-weekly issue of The Victoria Standard. The publications carry a solid cross-section of local and community news coupled with important stories of interest on health, entertainment, business and all levels of government, stories that have an impact on the lives of County residents. The Victoria Standard travels across the Province of Nova Scotia and throughout North America to many subscribers living away from home. Among those are former residents who have left the area for job opportunities, and still want that ‘touch of home’, while others, who have discovered Cape Breton and now make it their home for part of the year, return when they can, but always keep in touch with The Standard.